One way that Layer 3 offers customers professional IT and networking solutions is by specializing in providing new, used and refurbished data, telecom and wireless equipment to clients at significant savings. Examples of the product lines we deal with include ADC, Adtran, AFC, Alcatel, Calix, Cisco, Extreme, Fujitsu, Juniper, Motorola, Nortel, Occam, Telect, and Tellabs. 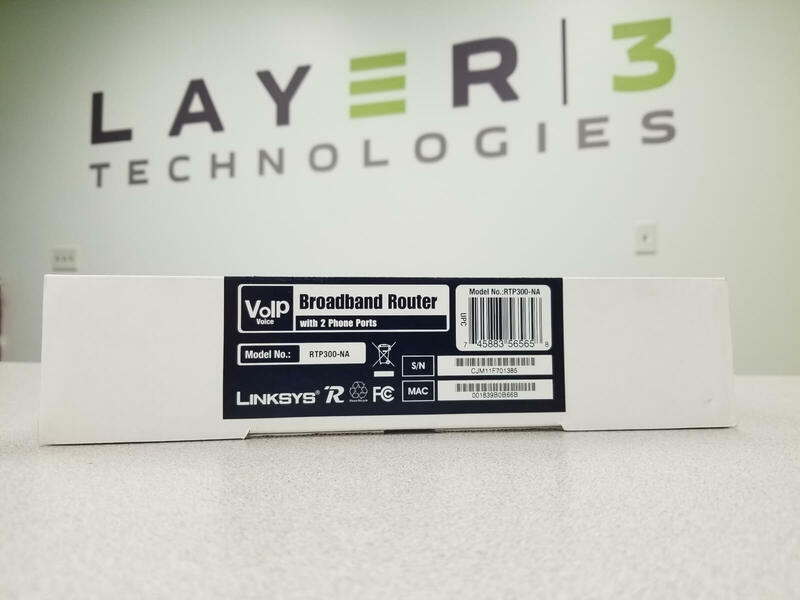 Layer 3 is unique because we are also a voice and data solutions provider. Our trained Engineers and Technicians have experience implementing security, QoS and bandwidth management, WAN optimization, VoIP, PBX, network management among other solutions. We take great pride in our ability to adapt to meet whatever specific requirements that our clients request. By utilizing our customized programs, we enable our clients to design the perfect solution. 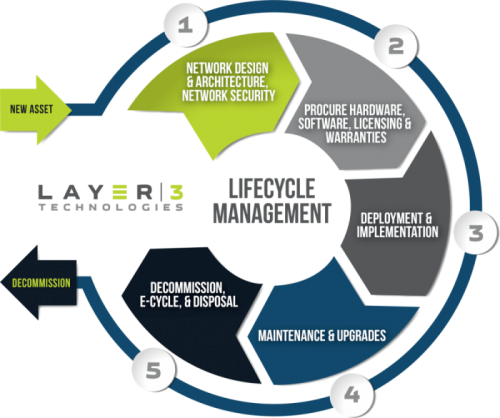 Whether you need new equipment, refurbished equipment, telephone system design / implementation, or equipment de-installed, let Layer 3 Technologies provide the expertise and the solution. A lifecycle management process enables us to help our customers design, procure, deploy, secure/maintain, upgrade and ultimately choose the best option for disposition for their IT assets. Our extensive knowledge and experience allows us to assist clients define their requirements and select the devices that meet their requirement and budget. Not only can we provide refurbished equipment, but we work with OEM’s to provide new equipment complete with software, licensing, and warranty needs. Our engineers can assist in creating a structured deployment strategy and process-oriented implementation plan. We specialize in Network Security, Virtualization/Cloud, WAN/SD-WAN, Cyber-Risk Assessments, Storage and back-up services, and IT Pro services. The amount of worldwide E-Waste generation is expected to be 49.8 million tons in 2018 with an annual 4-5 percent growth. Currently, only 15-20 percent of all e-waste is recycled, and roughly 80 percent of E-Waste generated in the U.S. is exported to Asia, a trade flow that is a source of considerable controversy. A large number of what is labeled as “e-waste” is actually not waste at all, but rather whole electronic equipment or parts that are readily marketable for reuse or can be recycled for materials recovery. 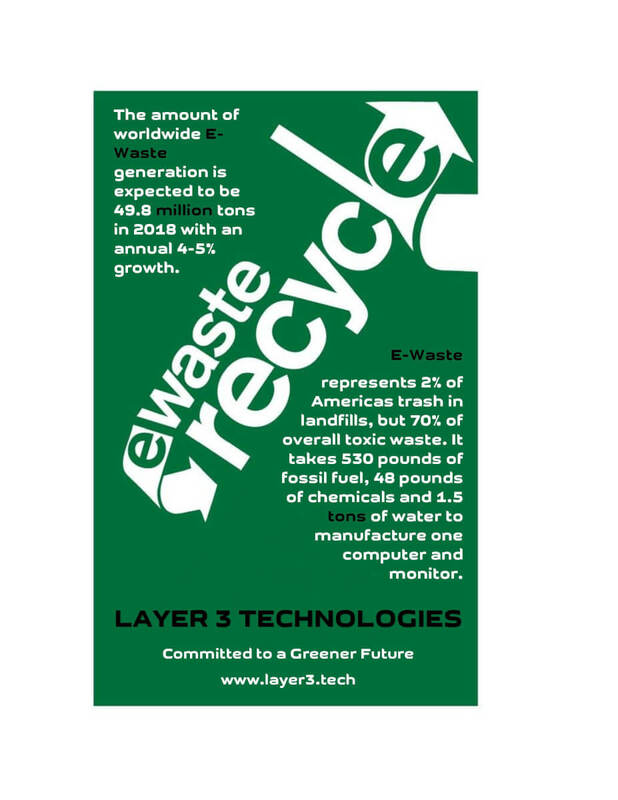 While all equipment at Layer 3 Technologies is recycled appropriately, we have decided to embark on a new mission to reduce our footprint even more. Starting 10/01/2018, before we recycle working equipment, we will create a list of this gear and make it available to anyone who still has use for it. All we ask is that you pay shipping and a very minimal fee to cover packing materials. No cost pick-up of equipment is also available to those who are local. If you have equipment that is still functional and you would like to join us in reducing your footprint, please reach out. We are happy to help you find a new home for your old equipment. At this time we have roughly 150 NEW Cisco Linksys RTP300 VoIP Broadband Routers. Please contact us if you are interested in rehoming these units.